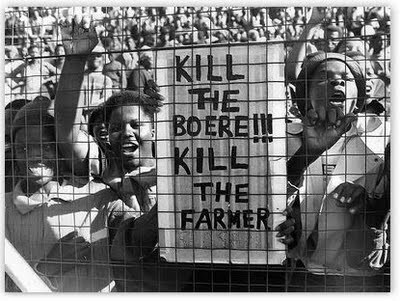 The reports of a genocide in South Africa, including grisly murder scenes of white farmers spanning from 1994 to 2012, have been consistently denied by reporters and government officials in South Africa. Now, new reports are being published providing us with recent attacks in detailed information. It appears racially motivated attacks are continuing to this present day. 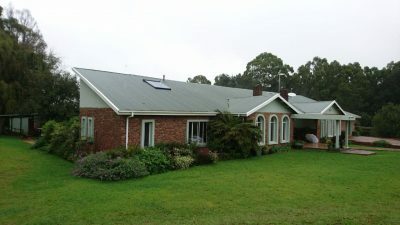 Last month in February 2017, on a remote farm in Dullstroom, a small town in the northeast of South Africa, about 150 miles from the nearest capital city, a British woman named Sue Howarth, 64, and her husband Robert Lynn, 66, were disturbed at 2 a.m. 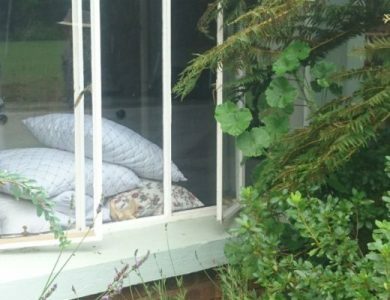 The couple, residents of area for 20 years, awoke to three men in balaclavas breaking into a window of their home. “I woke up because the dogs were barking and there was a racket at the bedroom window. After I stood up, I heard glass breaking. I suppose that is when they started shooting at us. I assumed they missed,” Lynn said. The couple, in pajamas, were then loaded up in their own truck and driven to a roadside where they were dumped off and shot. One of the unidentified men wearing balaclavas hit Lynn over the head with his gun and ordered him to lie down. His hands were bound with baling twine. He handed his attackers a money clip and his bank cards telling them they would be able to withdraw R1,000 a day from his accounts, plus the couple of hundred Rand he had in the money clip. Lynn was then taken into the living room, covered with a blanket and shortly after his attackers began burning his legs and chest. The robbers began stabbing and cutting him with a knife to get him to confess more information they thought he was hiding. ‘They were looking for things we just don’t have. I said to them that whoever gave them their information, gave them the wrong information. One of them replied with ‘No they didn’t,” Lynn stated. Still calling to his wife who did not answer, Lynn was smacked over the head with a gun and told to shut up. He was then put into the back of their Nissan Hardbody double cab, where the gunmen pulled a bag over his head. Lynn finally heard his wife, Susan, moaning as she was thrown into the back as well. At first, Lynn thought they were driving to Dullstroom to withdraw money. However, they turned around and headed towards the back roads past Belfast and Siyathuthuka towards Stoffberg instead. “They kept on stopping and going. When they stopped for good, they pulled me out of the vehicle by my hair,” continued Lynn. The attackers then walked him into a field where he had to crawl through a barbed wire fence and was ordered onto his knees. “That was the last thing I remember. I thought I was dead after that until I looked up and saw the stars,” Lynn said. It took quite some time before Lynn could free himself and crawl back to the road. When Lynn was successful at freeing himself, he crawled to the road where he could hear Susan moaning. He crawled across the ditch to the other side and found her lying there, hands tied behind her back and bleeding from the head. “I didn’t know what to do. I could see that she was in a very bad state. I could sit with her but the best thing would be to try and get help. So I stood next to the road. Five trucks and two cars passed me. Hooting as they did,” Lynn said. Miraculously, Lynn survived and managed to wave down someone passing by. Howarth, who police said was “unrecognizable” from her injuries, had multiple skull fractures, gunshot wounds and “horrific” burns to her breasts. Howarth also had a bag stuffed down her throat. How she managed to survive that long, breathing with a bag in her throat remains a mystery. She was rushed to the hospital and placed on life support. Sadly, two days later at 9:30 a.m., Tuesday morning, Susan Howarth passed away from her injuries never regaining consciousness after the attack. Sue Howarth was well known at sheepdog trials in the area. “Susan was a great girl. She imported ingredients for pharmaceutical products, like the active ingredient in Guronzan C,” Said Flynn. 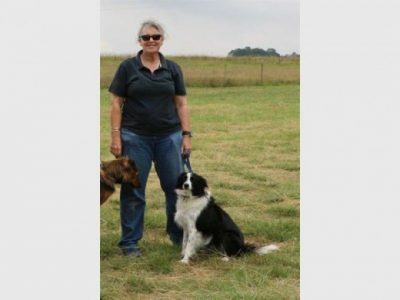 Lynn has since returned home, to deal with the sadness and mourn the loss of his best friend and is trying to pick up the pieces in Dullstroom. He says that he was amazed at how good people have been to him. But he will never be able to forget what evil people are capable of. Attacks such as this and others being reported are horrific and unfathomable. But in South Africa, attacks of this nature are frequent. So far, this year, there has been over an estimated amount of 70 attacks and approximately 25 murders in similar attacks against white farmers. Although the government believes that biggest motive for attacks is robbery, there is racial discontent on some farms. White farmers believe that attacks are racially motivated. Another attack earlier this month, a woman named Nicci Simpson was found, along with three dead dogs. Simpson was found lying in a pool of blood, where the attackers “used a drill to torture her,” police spokesman Lungelo Dlamini stated. As more and more attacks continue to happen in South Africa, the government and law enforcement agencies continue to deny such allegations of a potential genocide that could be manifesting. Police have stated that they cannot provide effective protection due to the large geographical areas that need to be monitored. A lack of funding is another factoring cause, they also claimed. Police forces are simply not available due to funding and fail at providing any sufficient help currently. ‘Farmwatch’ groups have linked together through the radio to nearby farmers who can provide mutual assistance. Local private security is growing as it is more likely to respond and be on site quicker. Local voluntary groups that come together for mutual assistance and protection stand a far better chance at defending against these brutal attacks and preventing them in the future. NextVIDEO: The Solution To The West’s Biggest Problems Is Clear, But What Is Trump Doing?